The beautiful snow made its way across the UK over the last week, eventually gracing us on Friday for a brief but stunning show of our very own Winter Wonderland. 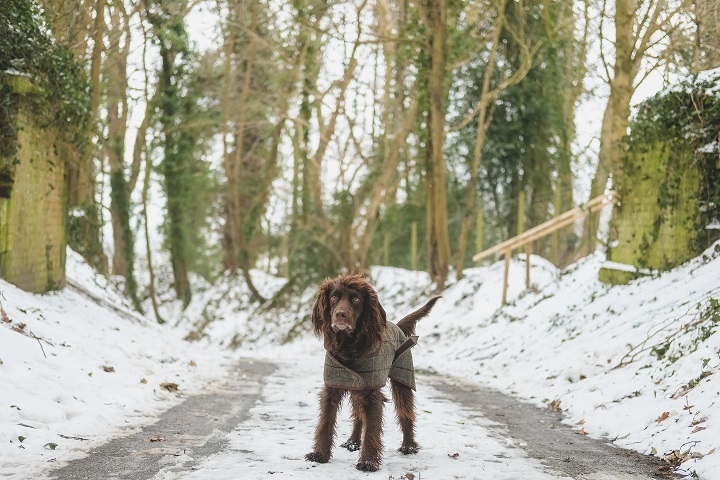 Wrapping up warm in the snowy country side was perfect for the new coats from Country Attire, layers on, ready to go dog walking. 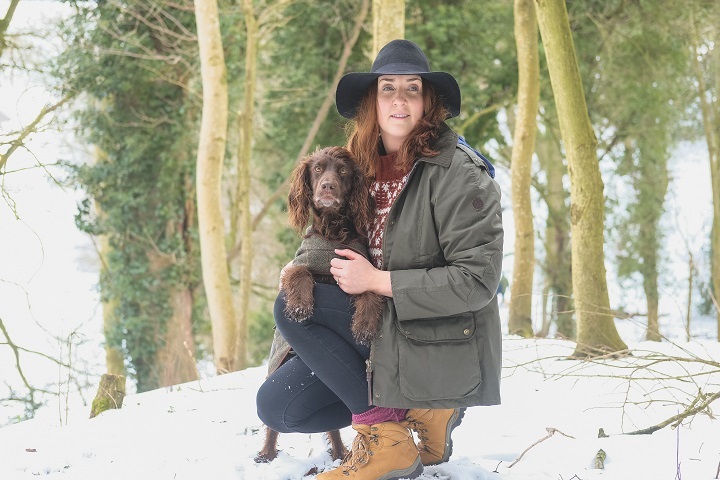 This new Human & Hound style was great to put to the test for warmth in the snow, comfort whilst walking far and perfectly matching with the pooches. I think we managed to tick all the boxes. 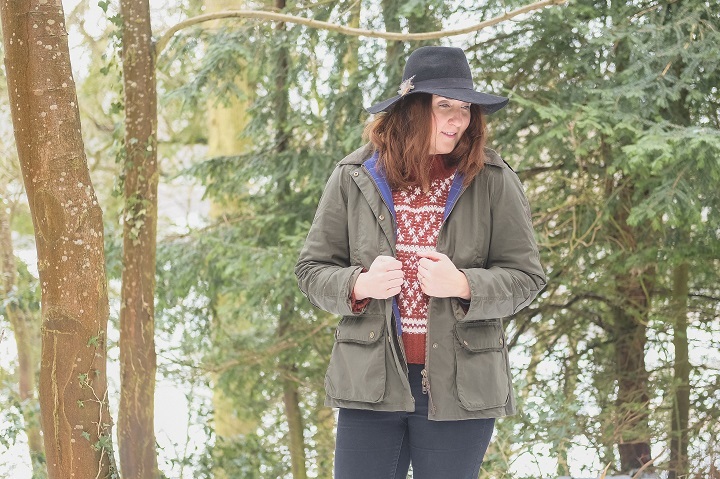 The wax jacket with hood was perfect to keep me warm through the freezing temperatures, although light and comfortable, layered with thermals and a jumper it was perfect country attire in the snow. Having a hood is so great for the English weather too [the fact it usually rains, not snows!] and this one poppers on and off, super useful for when the sun starts to shine and it gets in the way. 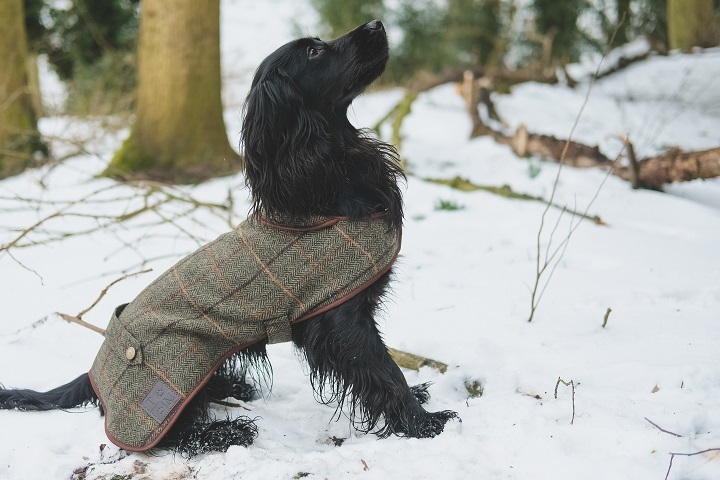 Sev and Lily wore the tweed coats, very country hound stylish and was the perfect match for the wax jacket. The fleece lining kept them warm while running and playing about in the snow, wishing it would stay forever. 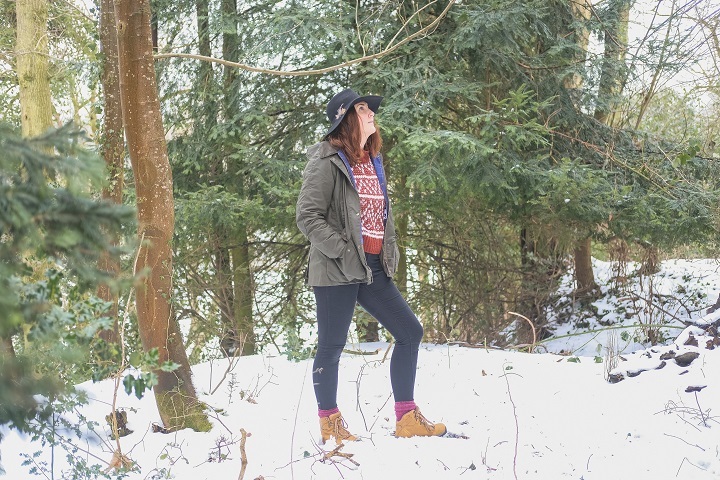 More time playing in the snow, walking through our [new] favourite woods and enjoying watching the kids sledge down the hills of Wiltshire. 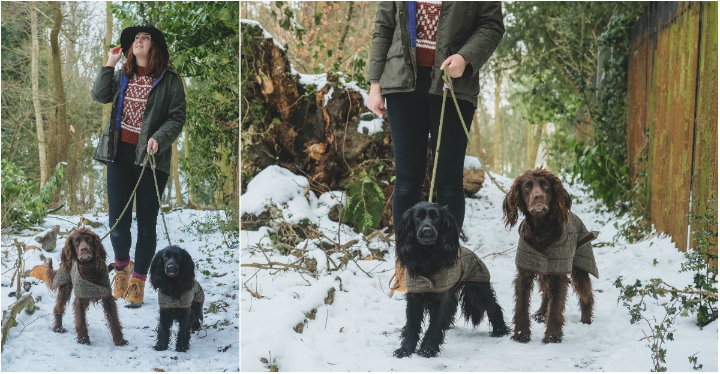 Sev and Lily had so many compliments from their Country Attire in the snow, and keeping them warm and dry was so practical for the snow too. How did you spend your snow days? Wrapped up under a duvet with the fire blasting or out playing in the snow. Sev and Lily truly loved it and certainly enjoyed an evening of warming up and snuggled in whilst being treated to a tasty chew.